Let me reintroduce you to my first love, fashion design. In case you’ve forgotten, this is actually my main profession so it’s my pleasure to share my craft with you once again. It’s been a long time since I’ve blogged about my designs. I’ve been so busy with them that I just can’t seem to find the time to sort through them and show you what I’ve been up to lately. This particular series were actually from last year. 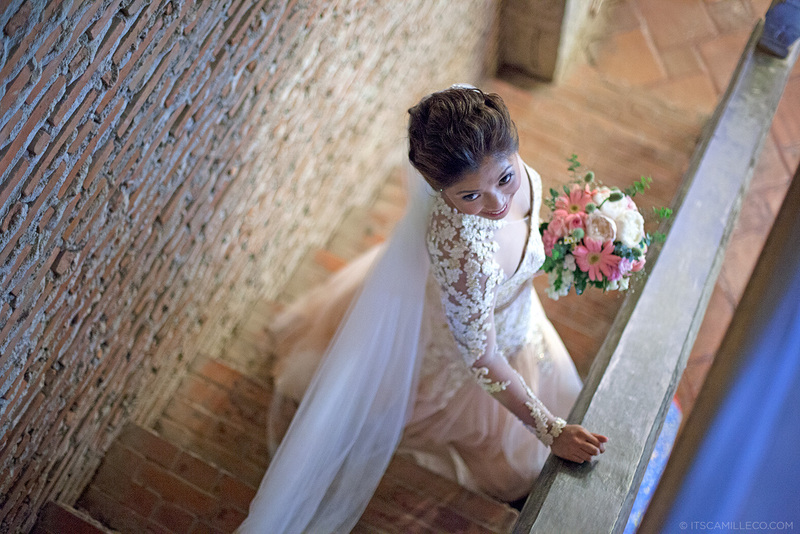 Clarissa or Issa Mijares-Ramos, came to me late 2012 for her July 2013 wedding. The moment she first described to me how she wanted her bridal gown and entourage gowns to look like, I knew we were meant to be. (Move over, Mr. Ramos!) I saw fireworks. LOL! 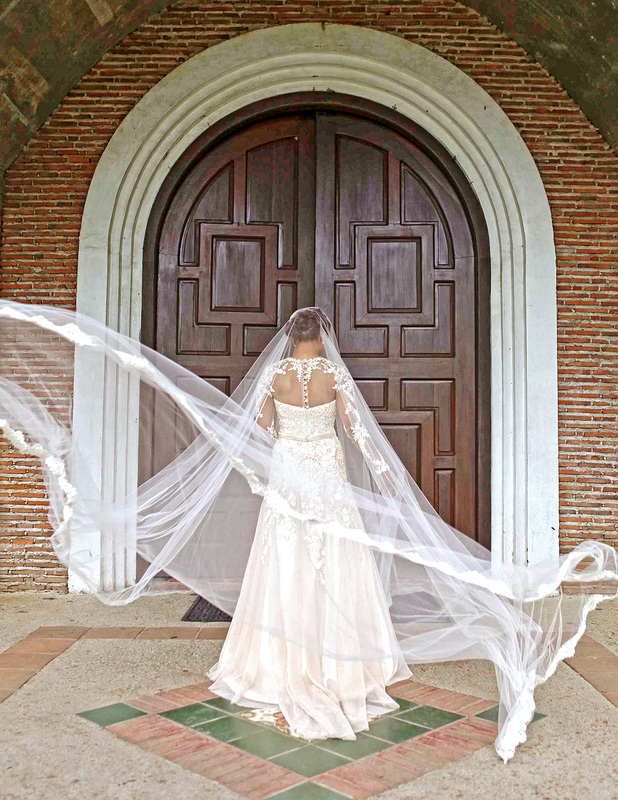 She was the perfect Coexist by Camille Co bride. She knew what she wanted but she still gave me the artistic freedom a designer deserves. Her musts: lace, beadwork and feminine silhouettes. Check, check and check! One girly-girl package, coming right up! Issa isn’t the traditional bride. 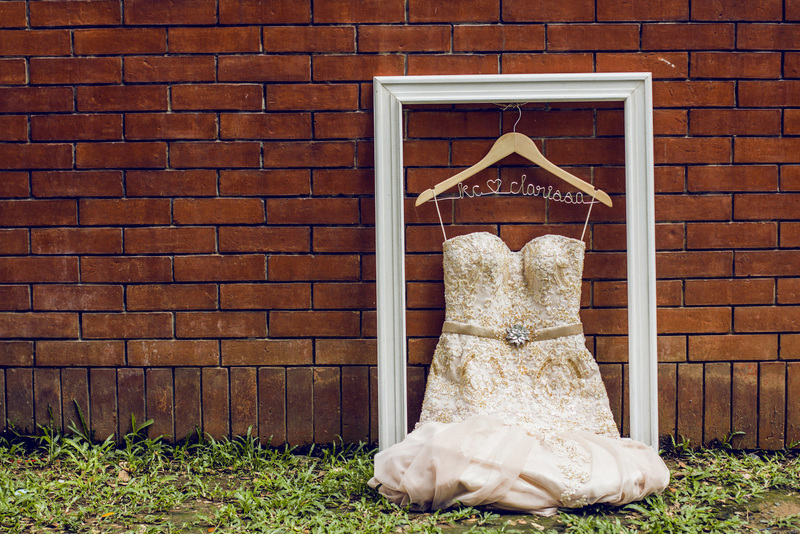 She didn’t care that her wedding gown isn’t ivory or white. Take note, this is a super rare case. 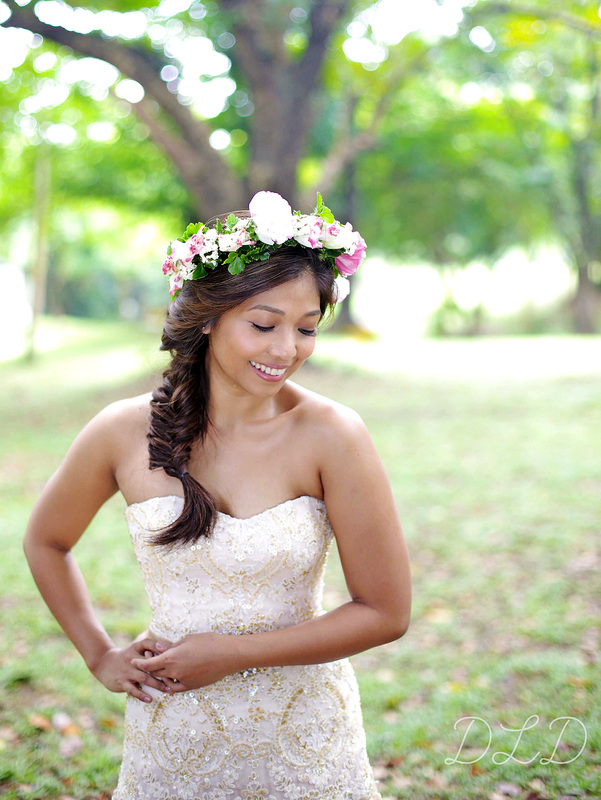 She’s like an endangered species in the Philippine bridal scene! Of course, I had to grab this opportunity. 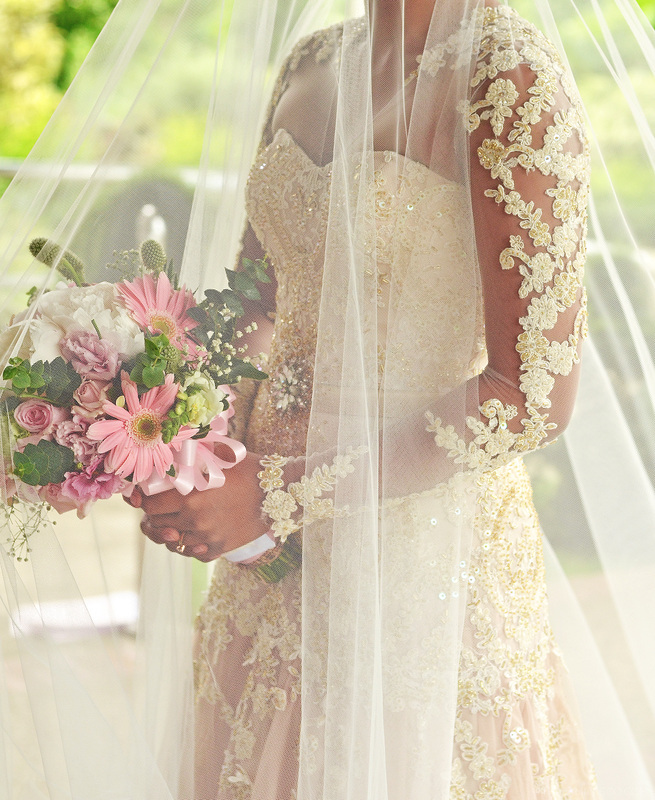 I made her bridal gown a bit more gold/champagne in color, combining different layers of soft tulle and illusion tulle while accentuating her gown with lace and gold embellishments. Issa didn’t want a long train so I kept it short. She did, however, request for removable sleeves so I gave her 3 options. She can wear her gown with the removable long sleeves (for the church wedding), removable baby sleeves (for the reception) or she can go strapless. 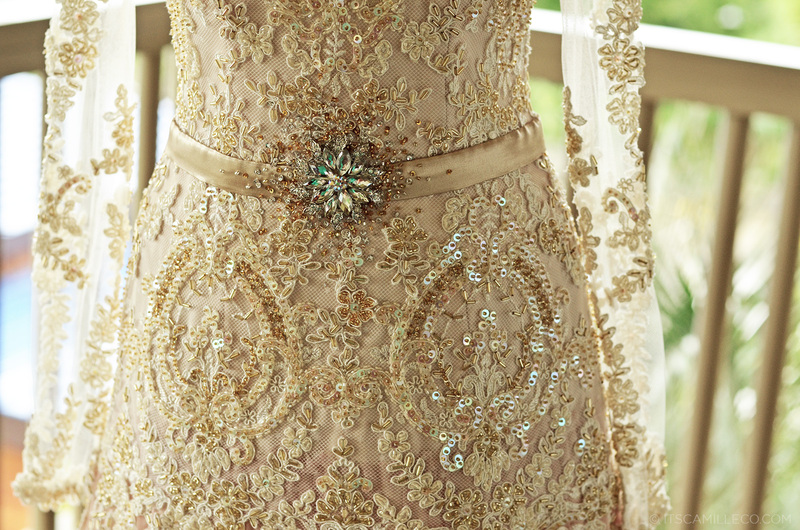 All these were made possible without having to cut or ruin the bridal gown and then sewing the straps back on it. This is because I want my brides to be able to wear their bridal gowns again without having to come back to my shop to have their sheer fabric or sleeves repaired. 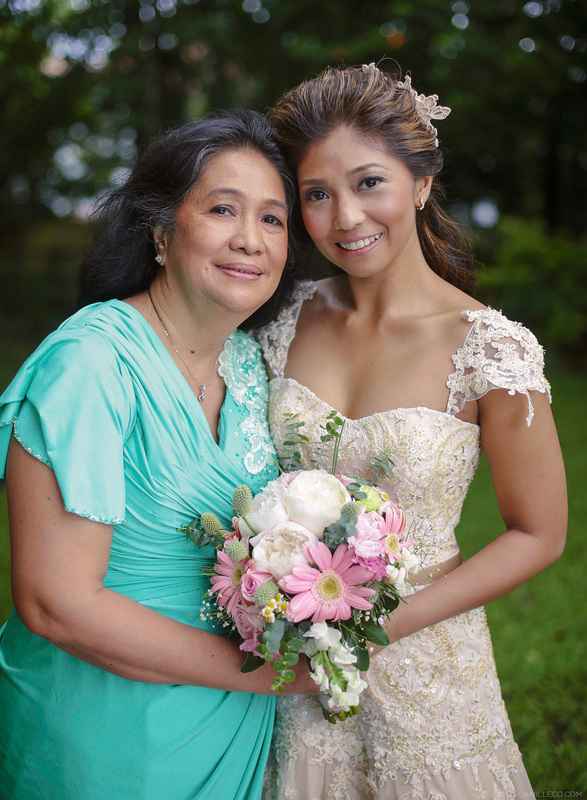 For the gowns of her mom, mother-in-law, bridesmaids and flower girl, Issa wanted them to be in theme with her bridal gown so I made use of lace and a bit of beadwork still. I came up with individual designs for them by considering their personal preferences. For instance, one wanted hers to be a bit sexier so I gave her a high slit and a low back. The other was a bit more conservative so I gave a her a boat neckline and an a-line skirt. The flower girl, however, had no say in her gown. LOL! But I reckon it turned out okay and I think she liked it. It’s actually my favorite flower girl’s dress up to this day! To Issa and KC, I wish you both a blissful married life. Thank you for trusting me to be part of your special day. 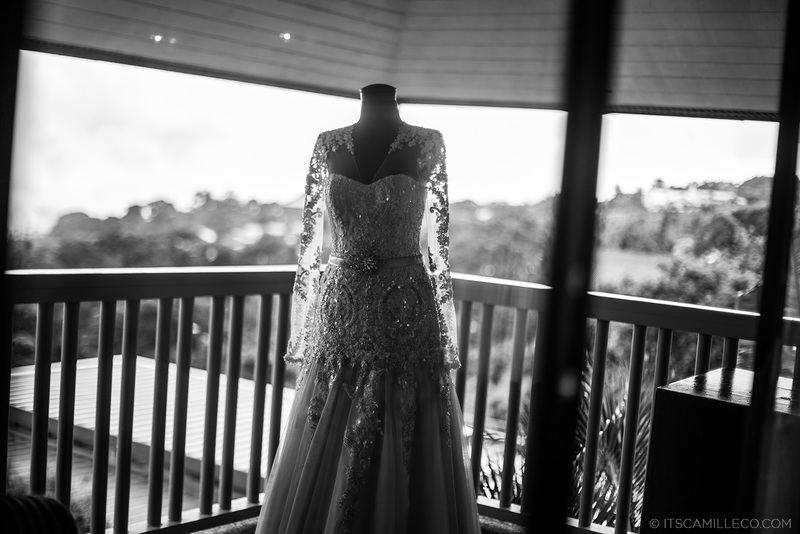 Your wedding was one of the easiest that I’ve done, not because your gowns weren’t complicated or anything, but because all of you were so much fun to work with–always light, loving and full of smiles. Issa, you’re a dream! For design inquiries and appointments, please contact Clariss of Coexist at +639175302776 / +6325460765 / +6325110675 or Chiqui at coexist.online@yahoo.com. Hi Camille. Can you send me your rates for entourgae gowns? By the way, i sent a DM sa IG. 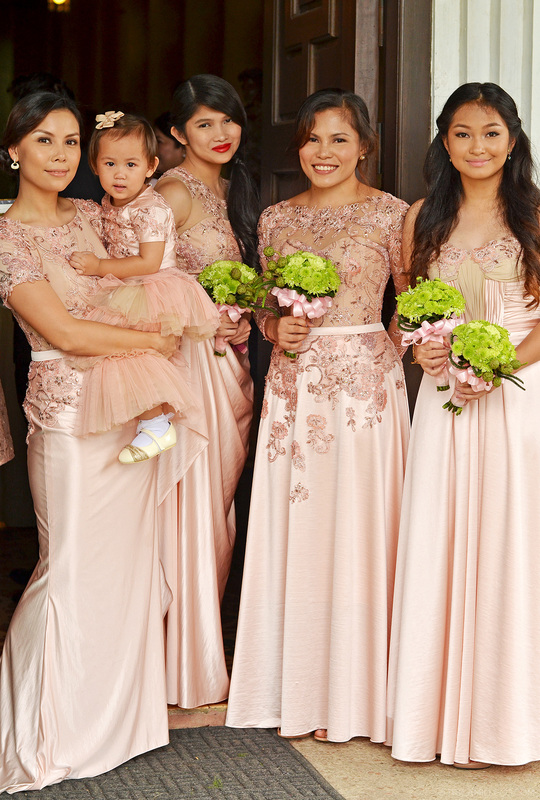 I just want to inquire how much is your rate for the entourage gowns? i would also like to ask where can i email you directly? Aww. I was captivated with flower girl dress. lol. Seriously, I find it cute and unique and the whole thing, it was awesome. nice sharing with sweet pictures. Awwww thank you! Your boyfriend should understand LOL! I love that three way for the sleeves! LOL. I get goose bumps with the bead work! It should always be handled with extraordinary diligence. Oh god love it! 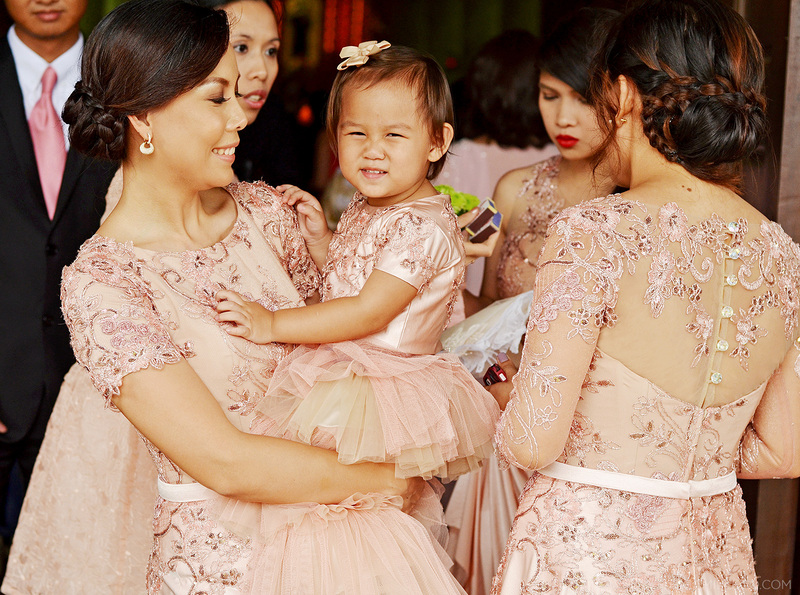 And the one for the flower girl, I remember Preview’s “I Shrank the Couture” article. Cropped top for kids are too cute! The gowns look stunning! 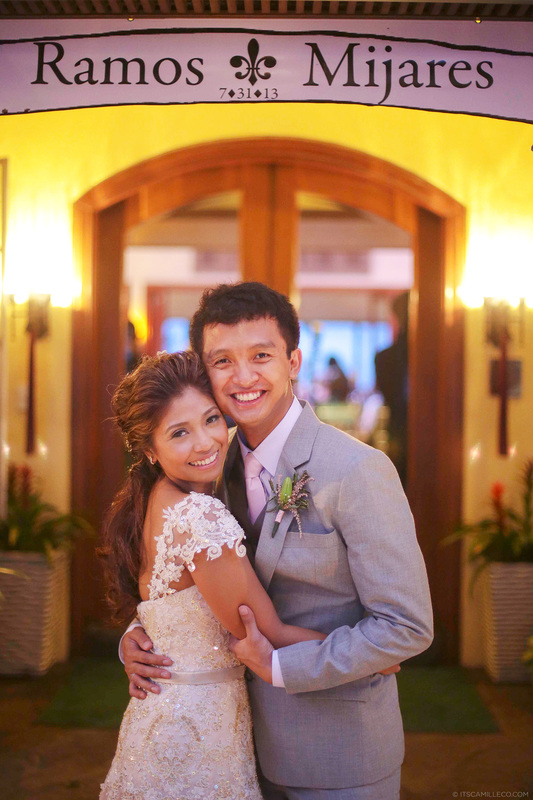 The bride is actually my prof at ADMU and she was gushing about her anniversary just a few weeks ago. 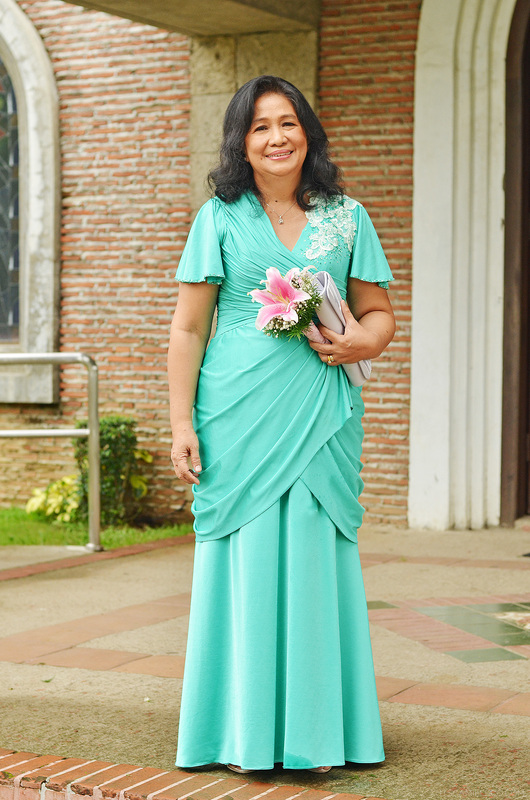 What a funny coincidence that my favorite prof wore a wedding gown designed by my favorite blogger, haha! Wag naman 30 or 40 years later! :) Thank you Kaye! you are aaaaaaaaaaaaaaaamaaaaazing ate camille!!! :) <3 <3 <3 <3 you designed everything so fabulously! i am still in awe right here! 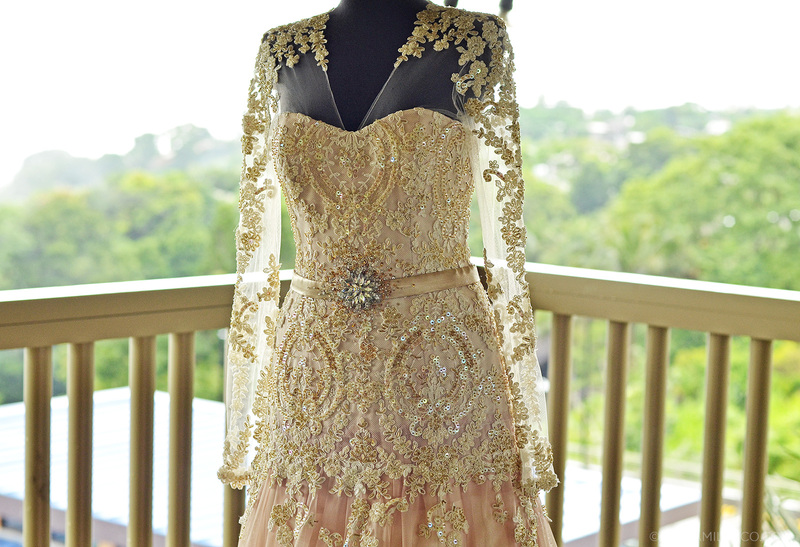 O.O i love everything.. please please please do my bridal gown also!! I'm able to talk with you once(a very quick one at megamall.i know you can't remember.haha)hopefullu not the last… err. i admire your sweetness back then.. :) God bless and more power to you and your team!! <3 keep inspiring! Thank you Mariel! I’d love to! WOw..ang ganda po. 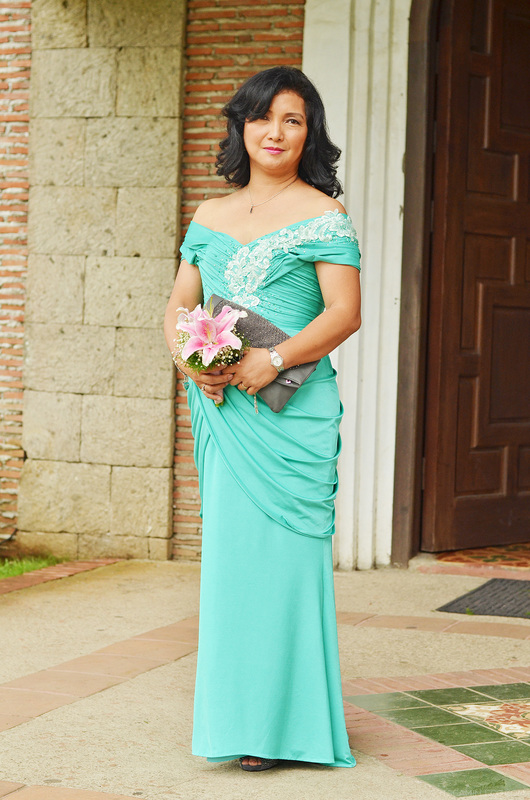 your are so talendted miss camille.. Hmmm hope I could also wear a wedding gown na kasing ganda nyan..
Haha agad agad? Thanks Ohms! Gorgeous gowns! Wow what a talent you have, and the removable sleeves idea was brilliant. Nice work there ate Cams! 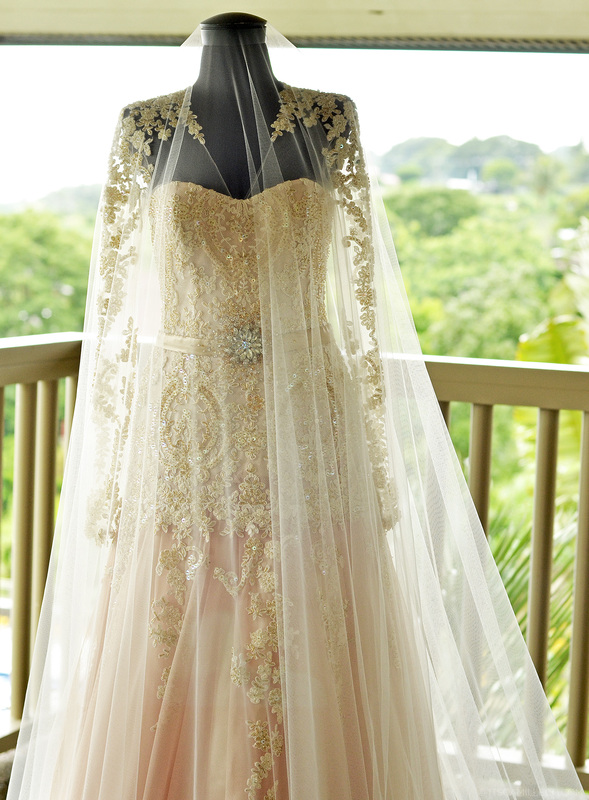 This is a special day for the bride and what makes it more special is that ikaw yung official designer nya. Oh how I wish na you will be the one to design my wedding soon(nagmamadali?). Gorgeous!! And how cool is it that the sleeves are removable. I think when I get married I couldn’t want my bridemaids in copy & paste gowns either – something similar but fitting to them. 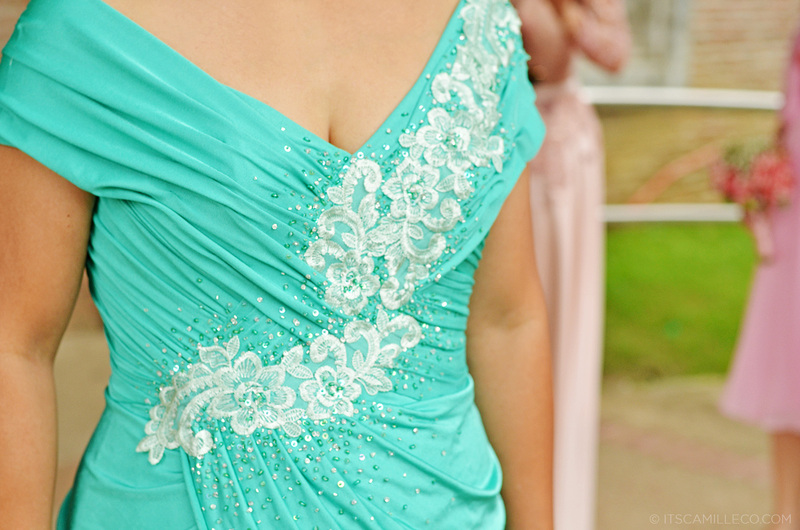 The work that has been put into these dresses is just unbelievable. The details are so refined, yet everything’s so perfectly composed. It’s a fairy tale and even though I don’t plan to marry, I can’t say these dresses could eventually change my mind. OMG! 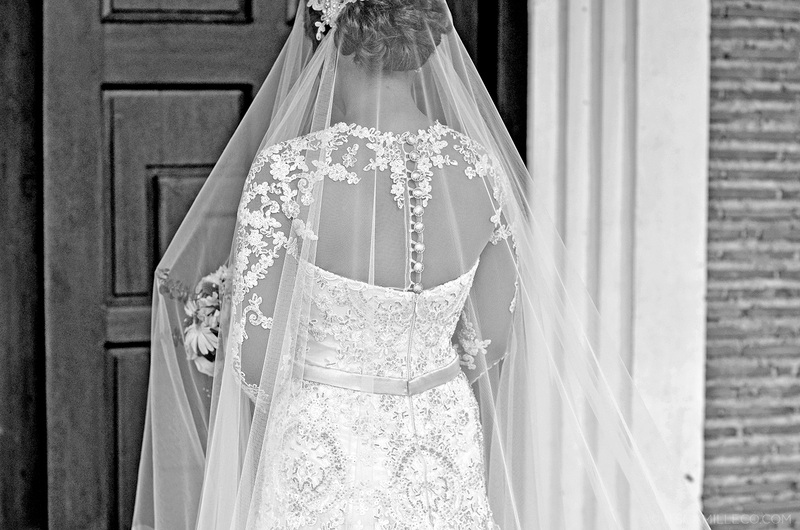 The wedding dress is insanely gorgeous!!! 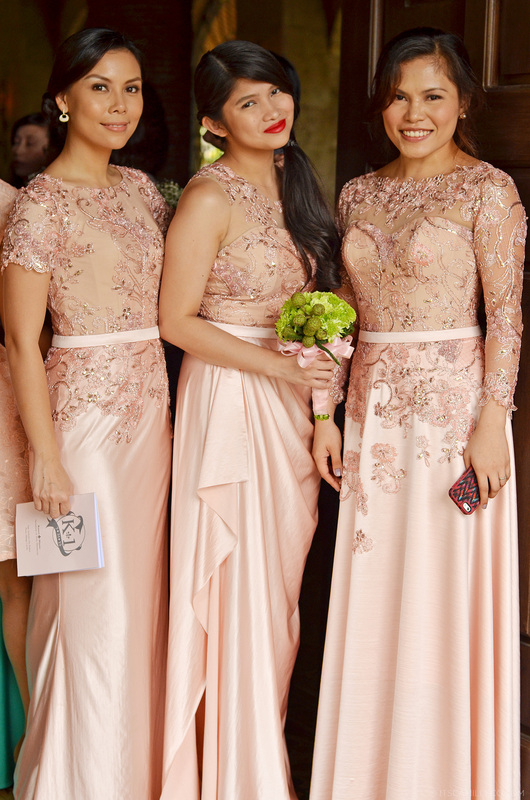 and the bridesmaids look so beautiful!! Woohoo! :) Sana naman we’re still doing this :) Thank you Ren! Gosh, what an amazing dress! Good job!